Beautiful loft style condo. Lots of light! Private - only 2 condos on the floor and NO SHARED WALLS! One enclosed bedroom plus den. Den could be used as a 2nd bedroom. Unit features polished concrete floors, white Italian kitchen cabinets, stainless steel appliances, large walk-in closet, and two balconies. Building offers all amenities; rooftop pool and lower level lap pool, spa and fitness center, club room with pool table, outside kitchen area. Right in the heart of Downtown Miamiâs urban core! Close to everything! 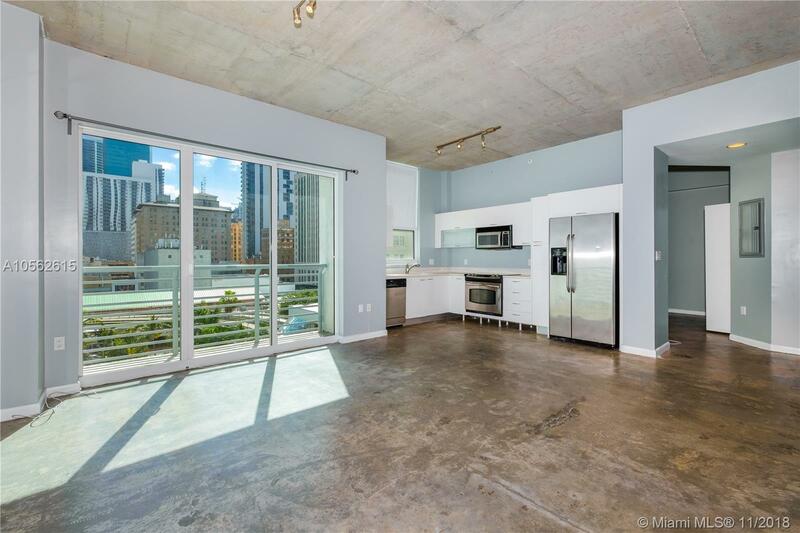 Easy access to Brickell and the Financial District from the metromover right outside the door. Flexible rentals â 30 day min. Washer/dryer in unit. 1 parking space in garage across the street. Maint fee includes cable & internet.